Our Celebration Gift Box with Post Altus Grape Juice can be used as a delicious appetizer, a healthy snack or given as a thoughtful gift. This box includes (1.5L). 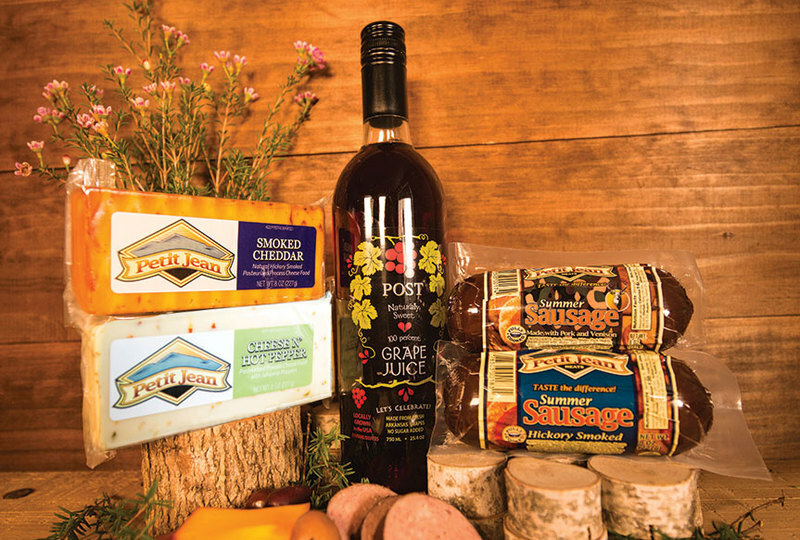 Post Altus Grape Juice, Petit Jean Summer Sausage (8oz), Deer Summer Sausage (8oz), and two selections from our NEW cheese line - Smoked Cheddar (8oz) and Cheese N' Hot Pepper (8oz). Grown in Altus, Arkansas, Ives Grape is an American Heritage grape varietal. Deep garnet color, full fruit taste. Non-alcoholic. Can be Delicious chilled, as a mixer in drinks or base for punches and in recipes.